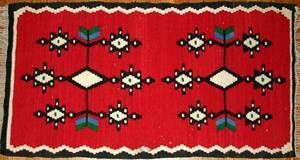 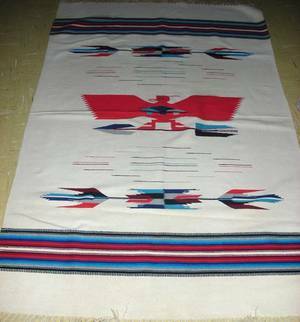 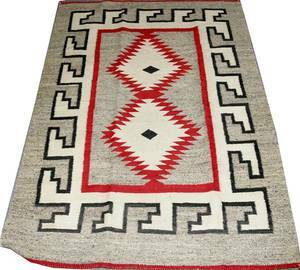 AMERICAN INDIAN HAND WOVEN RUG, 46" X 69":White ground, red eagle at center. 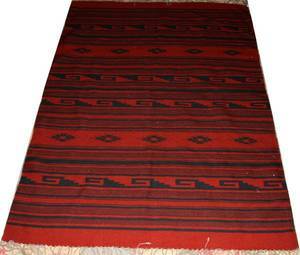 Hand woven All wool. 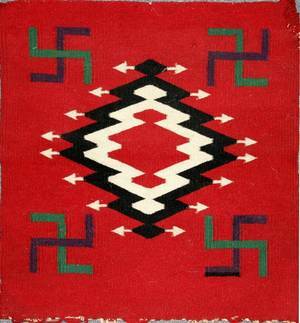 From the Collection of Alfred S. Warren. 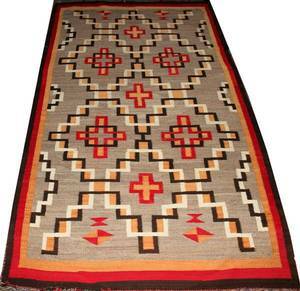 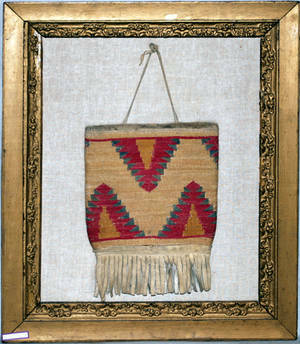 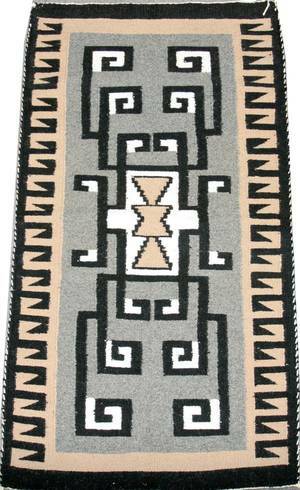 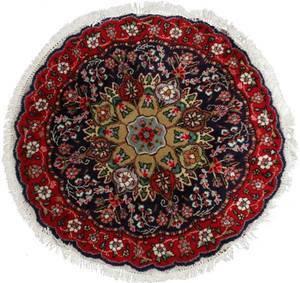 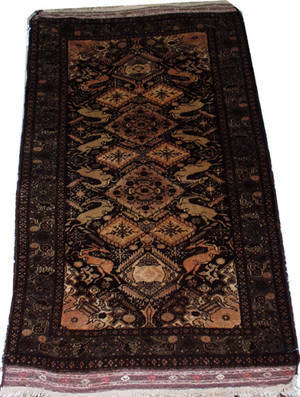 Archived auctions similar to 121576: AMERICAN INDIAN HAND WOVEN RUG, 46" X 69"
041296: AMERICAN INDIAN HAND-WOVEN WOOL MAT, 19"x18"
072223: NAVAJO HAND WOVEN RUG, 53" X 91"
061101: NAVAJO HAND-WOVEN RUG, 40" X 22"
030279: BALUCHISTAN HAND WOVEN RUG 5' X 2' 8"
021148: NATIVE AMERICAN INDIAN WOVEN RUG, 5'4"x3' 10"
120252: MEXICAN SERAPI, HAND WOVEN RUG, 7' X 5' 2"